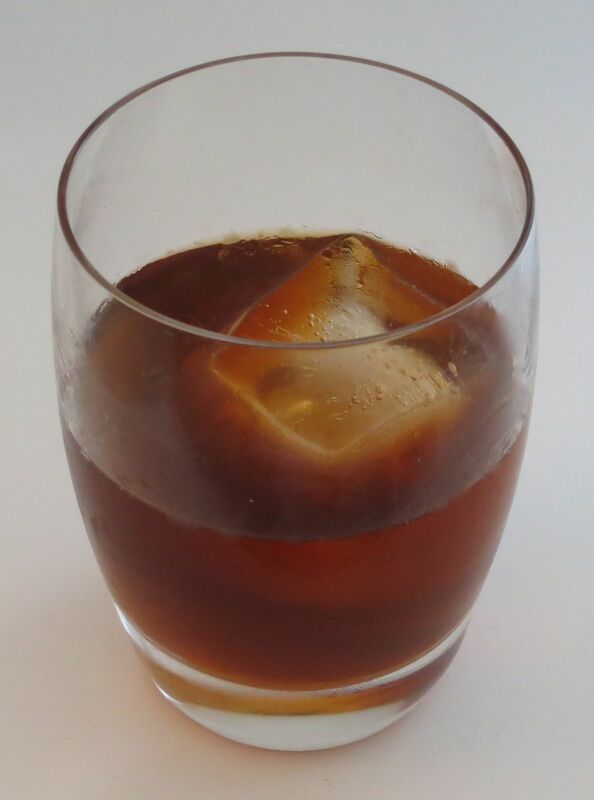 We have a couple of walnut liqueurs in the cupboard that we like to use occasionally to add some nutty complexity to cocktails. 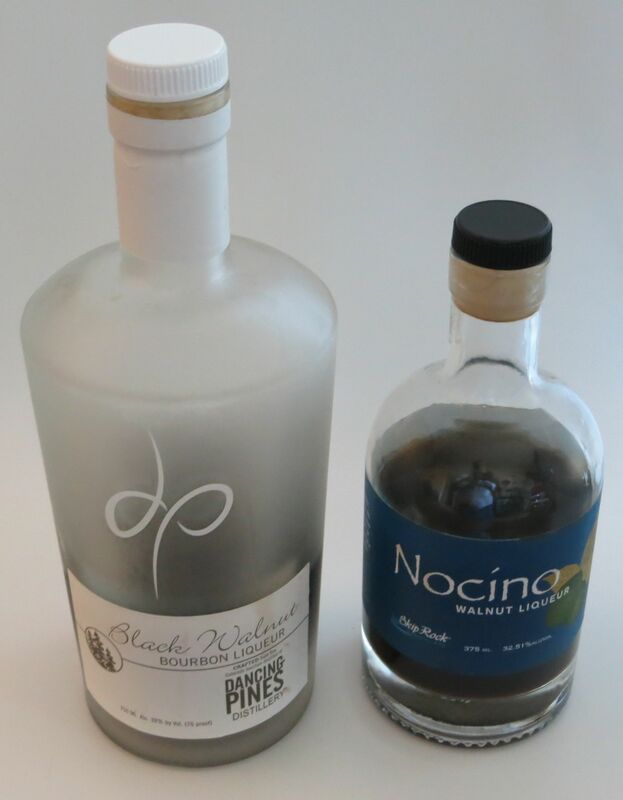 Oddly enough, neither is “regular” walnut – one is a nocino made with green walnuts and the other is black walnut. Both are delicious though. Read on to find out what we make of them. First up, we wanted to try the two spirits side by side to see how they compare. Nose: Walnut, cinnamon, nutmeg, little bit of caramel. Interesting astringency like walnut shell and black tea. Palate: Walnut to start, along with strong green wood notes. Strong baking spice, especially nutmeg along with perfume-y lily notes on the mid-palate. Walnut and astringent black tea on the finish. Nose: Black walnut, strong walnut shell and skin, dried corn, loam like turned earth. Palate: Much sweeter than the nocino. Sweet black walnut to start. Nut shell and skin with earthy notes on the mid-palate, followed by a bit of alcohol burn. Nutty, slightly bitter aftertaste. Dried corn throughout with some strong corn notes on the finish. As always, we’re also curious how both of these liqueurs mix. We tried a number of different combinations for both of them, and found that they went well with richer, full-flavored spirits, but did best with just a few ingredients so that the walnut flavor wasn’t overpowered. First, we mixed with the Skip Rock nocino. It’s spicy, slightly astringent profile went well with amaro, to which we added some citrus notes through Cointreau rather than through fruit juice to keep a bitter-sweet rather than sour-sweet profile. Assemble in glass. Add one large ice cube. Stir for approximately one minute. Garnish with an orange twist. Cheers! Nose: Orange, root beer, walnut, vanilla, coffee, tobacco. Palate: Sweet orange, root beer, and nutmeg to start. Beginning of the mid-palate is quite sweet, moving into walnut, black tea and orange peel. Finish is astringent walnut, walnut skin/shell along with wormwood bitterness and a tiny touch of menthol. Long bitter aftertaste. Quite sweet overall but the bitterness balances it out. Next up, we grabbed the black walnut liqueur. We tried a number of mixes (it was OK but not outstanding with dark rums and new-style American whiskies), but it really did best in an Old Fasioned-like format with rye or bourbon and a splash of bitters. That gave the walnut a good rich base to stand on while still letting it shine. Hats off to Keith Waldbauer and Nik Virrey at Liberty for first exposing us to this lovely twist on a classic. Assemble in glass. Add one large ice cube. Stir for a bit to dilute. If you prefer it sweeter, crush a sugar cube with the bitters before adding the other ingredients, but we prefer things drier and the liqueur had enough sweetness for us. Enjoy! Nose: Sweet cereal from the rye, slightly musty barrel notes, black walnut, loam. Little bit of black pepper and clove. Palate: Tannic, earthy black walnut right on the front. Rye on the mid-palate brings barrel notes, sweet oak, a touch of caramel, and a big hit of rye spice – some baking spices but black pepper as well. Finish is bitter black walnut skin paired with spicy, clove-y bitterness from the Angostura. As it dilutes, pumpernickel-like notes appear at the start of the mid-palate. 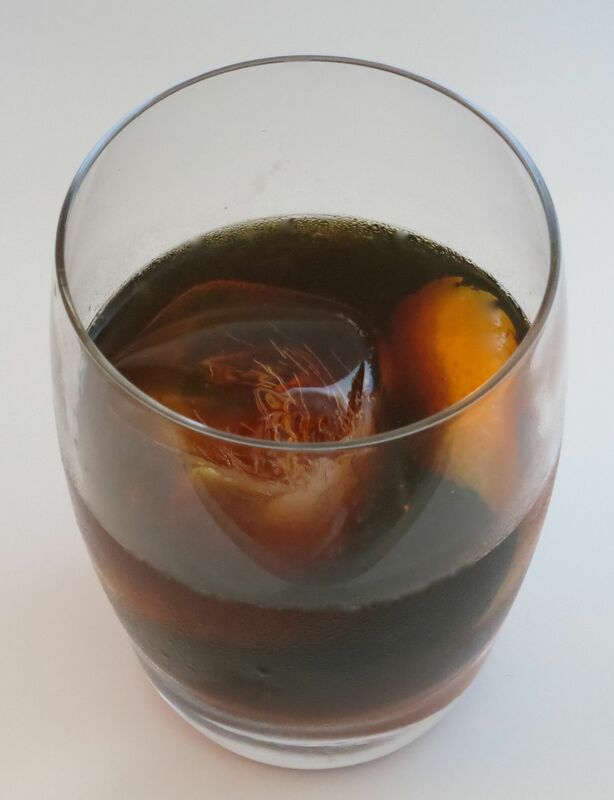 This entry was posted in amaro, angostura bitters, black walnut liqueur, Cointreau, nocino, orange bitters, rye. Bookmark the permalink. Curious question. I’ve had nocino made with green walnuts but greens are often just the immature form of the walnut so they could be blacks or English. Judging by the color of the drink I’d say they were blacks but there is a serious flavor difference. Good question. Our guess is that the nocino was from English walnuts. Purchased a bottle of delicious black walnut liquer while in Cuba this year. Was smooth like amaretto but had a distinct walnut flavor. We have a black walnut tree and the nuts have ripened and dropped. Anyone have a liquer recipe that isn’t a nocino or hasn’t any strong spices? Any ideas would be appreciated. Nice! You could probably just follow any of the nut liqueur recipes and then modify to taste for spices and the like.